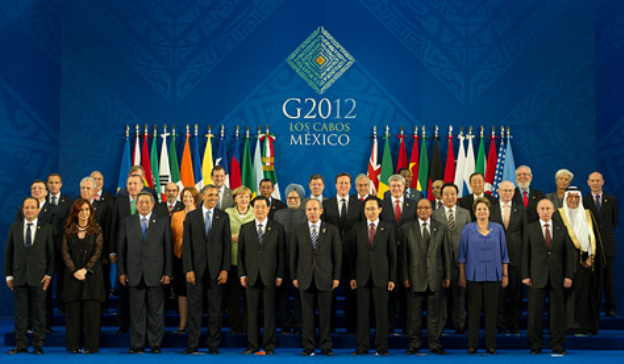 Proposed by former Canadian Prime Minister Paul Martin, the G-20 was visualized as a forum for cooperation and consultation on matters pertaining to the international financial system. The group was formally inaugurated in September 1999, and held its first meeting in December 1999. It studies, reviews, and promotes high-level discussion of policy issues pertaining to the promotion of international financial stability, and seeks to address issues that go beyond the responsibilities of any one organization. G-20 members account for 84.1 percent and 82.2 percent of the world's economic growth by nominal GDP and GDP (PPP) respectively from the years 2010 to 2016, according to the International Monetary Fund (IMF).